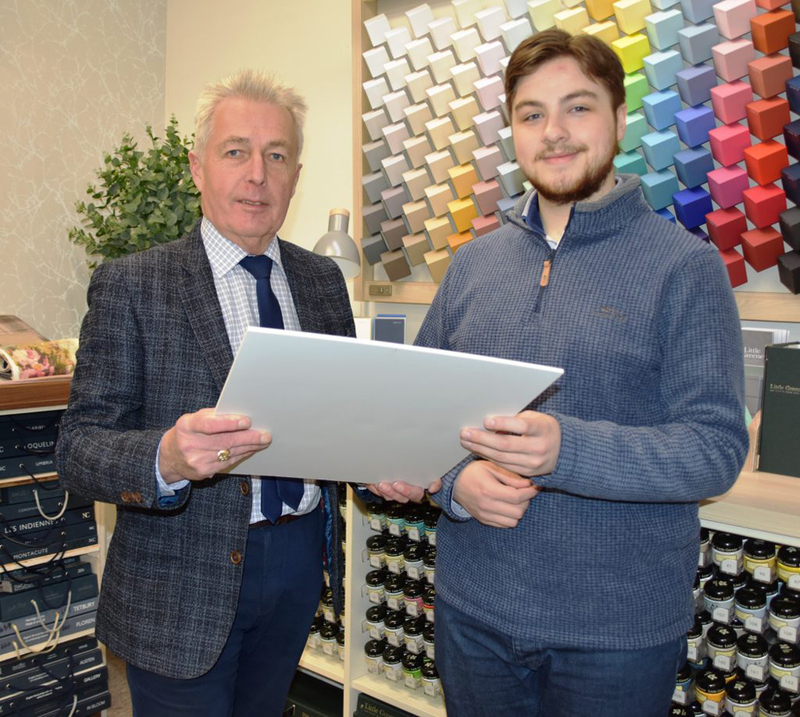 Alan Espey Interiors, one of Newtownards’ leading independent retailers, is appealing to all employers to follow its example and get involved with Job Shadow Day on May 16. Proprietor Alan Espey gave a client at New Horizons the chance to shadow a member of staff at the menswear and interior business through an Action Mental Health work placement – and offered him a paid position. Now he is encouraging other local businesses to offer similar opportunities to Action Mental Health clients who undertake a variety of nationally accredited training courses across its nine New Horizons locations across Northern Ireland. Alan Espey makes the call in the run up to Job Shadow Day, a day of awareness organised by the Northern Ireland Union of Supported Employment, to promote equal employment opportunities for people disadvantaged by mental ill-health or disability. Participants explore the world of work by shadowing someone for a day in the workplace as they go about their normal working routine. Similar work placements are routine at Action Mental Health through the Working It Out Programme which supports the recovery of adults experiencing mental ill health who are interested in progressing towards further education, training or employment. The Working it Out project is part-funded through the Northern Ireland European Social Fund Programme 2014-2020, the Department for the Economy and the five NI Health and Social Care Trusts. The project provides a comprehensive programme of specialist training in personal development, vocational skills and employability, with staff delivering accredited training and support work based training placements. This enables individuals to progress towards voluntary work, further training or education and employment. People experiencing mental ill health are identified as one of the most disadvantaged groups when securing and retaining employment. 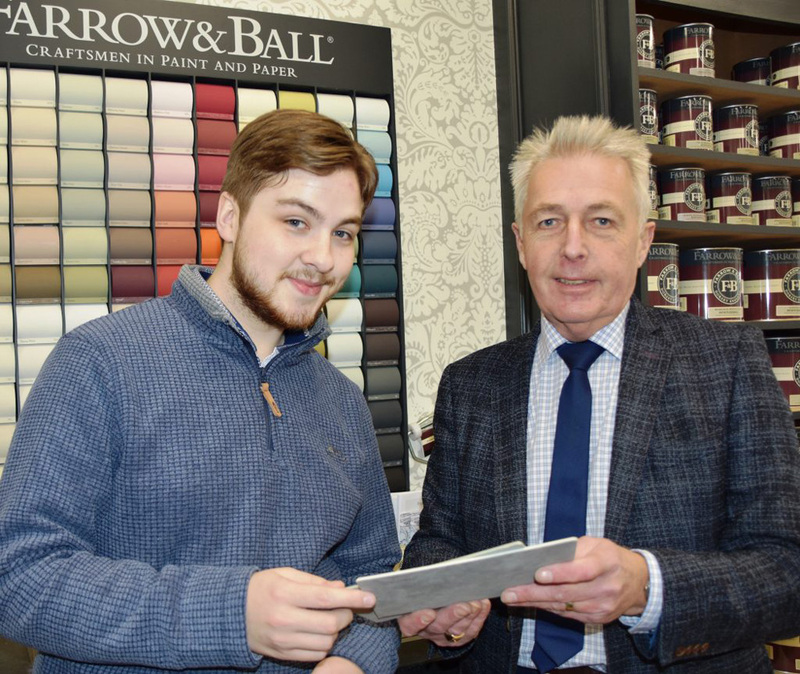 Alan reveals what an asset the placement has been for the company and for 22-year-old Colin Wright personally, who achieved his NVQ Level Two Certificate in Retail Skills during his stint. “Colin started his work-based training placement with Alan Espey Menswear in March 2018,” he said. “We were approached by Action Mental Health New Horizons who asked us to facilitate the placement and explained the work that they are doing to support people with mental ill-health. Throughout the placement, New Horizons maintained communication with the Newtownards business, through regular emails, telephone calls and the face-to-face meetings at the High Street premises. Mr Espey continued: “For us, this was an excellent opportunity to give someone with no retail experience a chance to gain retail knowledge and practical skills in a real working environment. I watched, over the weeks and months, Colin becoming more confident with weekly tasks such as customer engagement, stocktaking, using tills and displaying stock. Colin has now commenced part-time employment with Alan Espey Interiors. “Securing this placement, and later employment, has meant a great deal to me. It has boosted my confidence and career prospects. I’m indebted to Mr Espey for providing me with the opportunity to develop my retail experience and for encouraging and motivating me,” said Colin. Action Mental Health employment officers Katrina McIlmail and Emma-Jayne Begley paid tribute to Mr Espey and his accommodating team of staff. “This was such a good opportunity for Colin and it would not be possible without the support of Mr Espey and his team,” said Katrina. For further information please contact AMH New Horizons on 028 91822410. “Working it Out Project” at AMH New Horizons is part-funded through the Northern Ireland European Social Fund Programme 2014-2020 and the Department for the Economy.